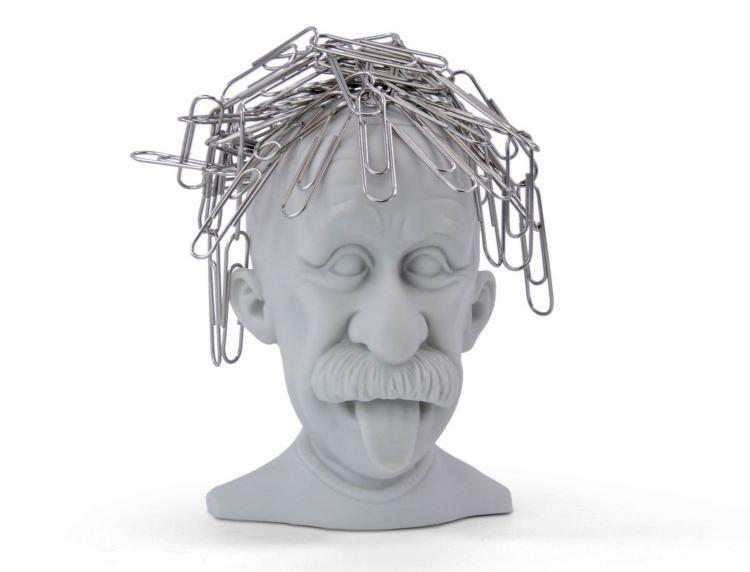 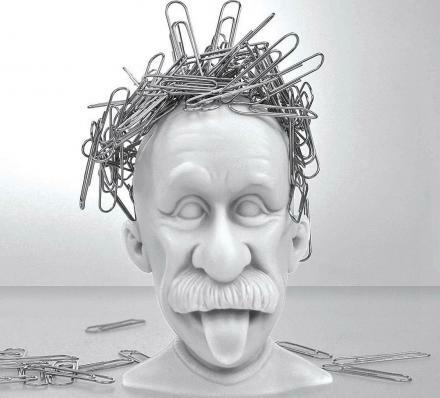 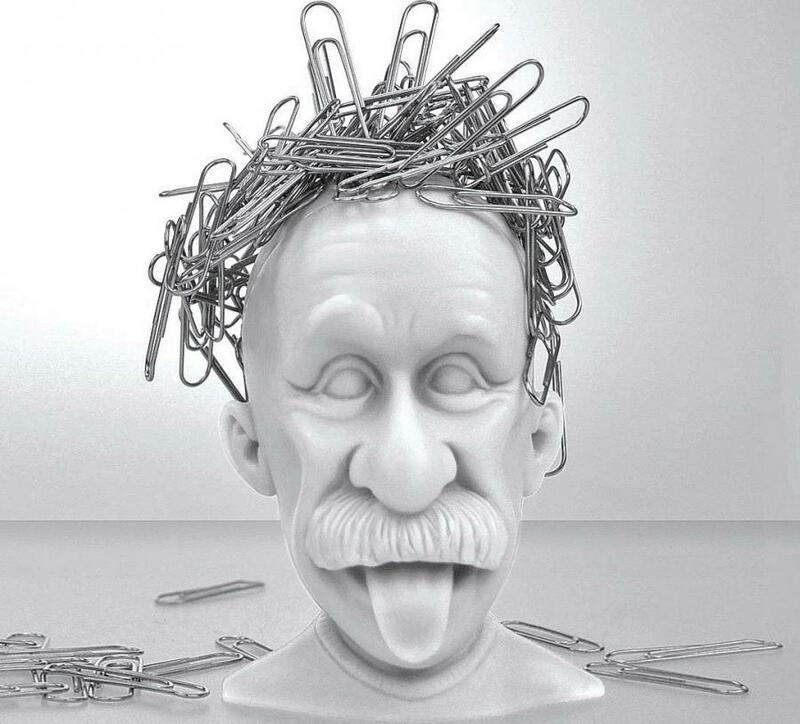 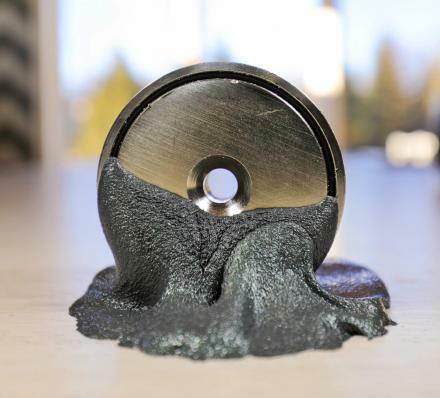 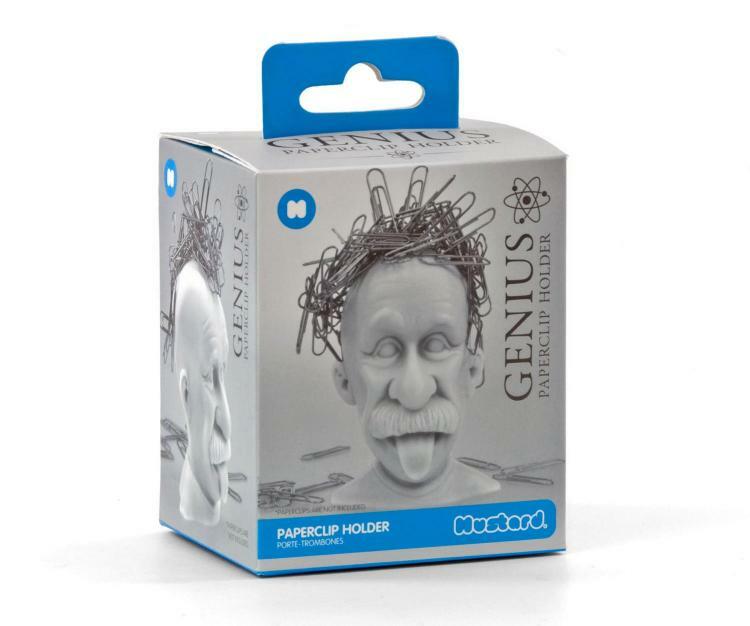 This magnetic paperclip holder makes it look like your paperclips are Einstein's crazy hair, depicting him from the famous photo of him sticking his tongue out. 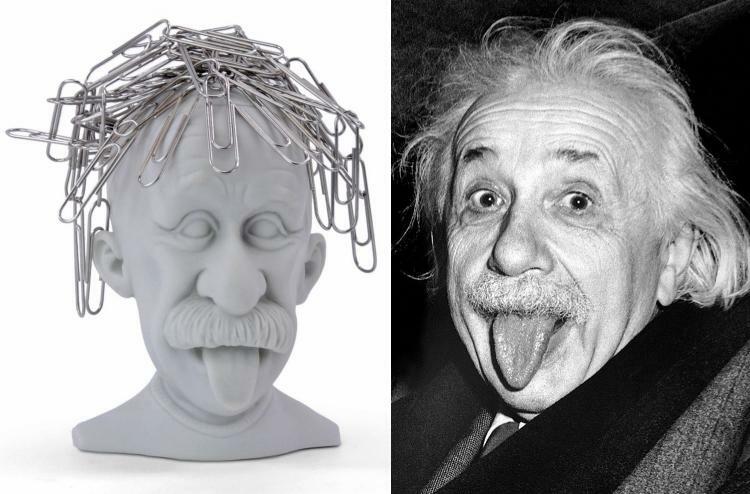 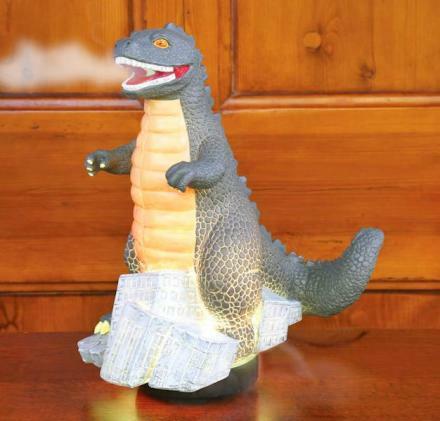 The statue is made to be completely bald and ready for a mound of paperclips to be placed on his head to make up his crazy hair, along with a thick bushy mustache and wide old-man nose just like Einstein had. 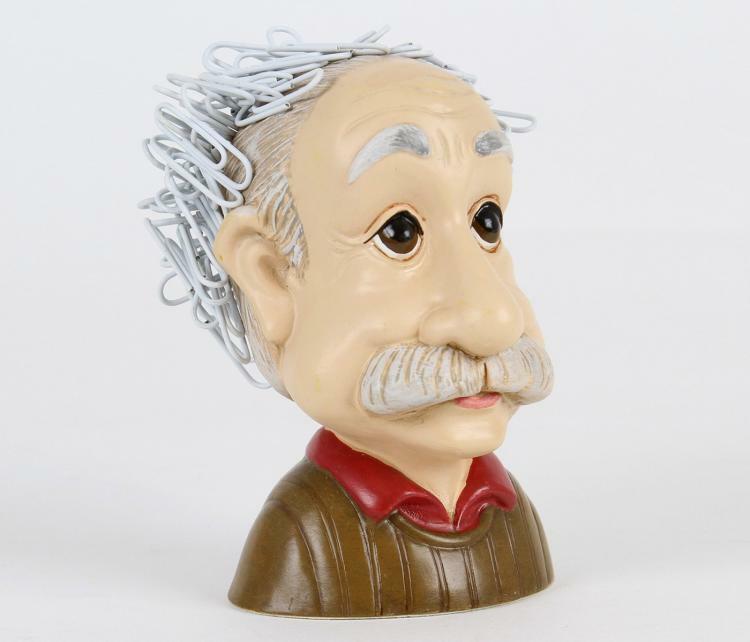 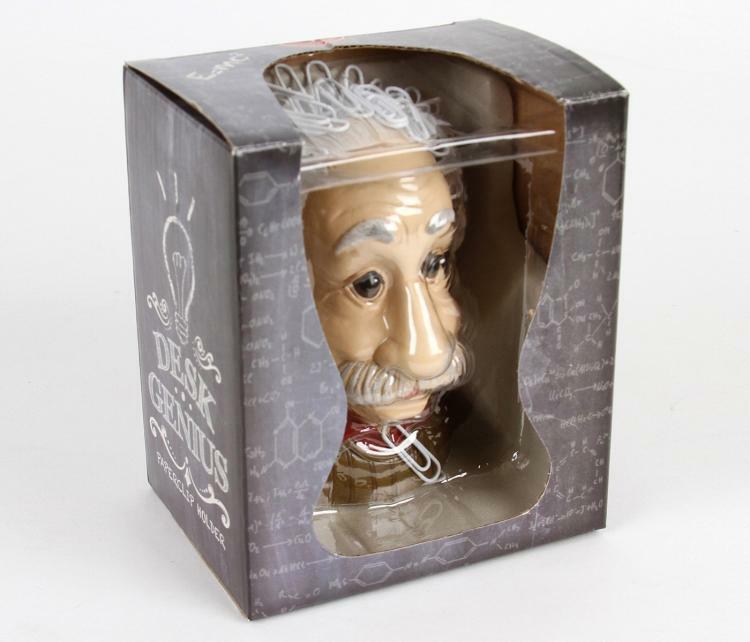 Perfect for an aspiring scientist, someone who thinks their smart, or just someone who enjoyed the movie Interstellar, the Einstein crazy hair paperclip holder is made from plastic and magnets, is white in color, and measures 3.75 inches tall x 2.7 inches wide x 3.1 inches deep. 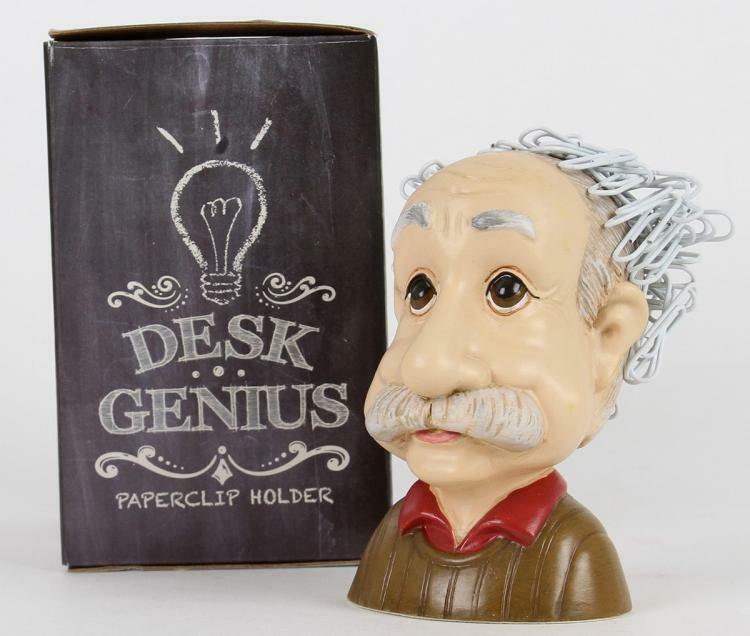 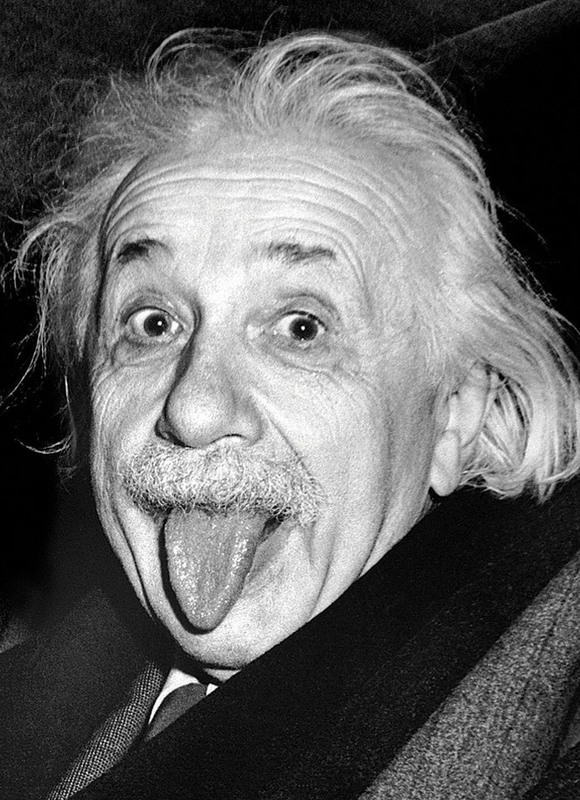 ...Or Check out this other Einstein paper clip holder that is colored and doesn't have Einstein sticking his tongue out at you.